For years after learning the KitchenAid Experience is in Ohio my mom and I have talked of going and finally found our chance. I now work for a library system that closes for more than the big six holidays, so we used my day off to make the 2-hour drive north past my beloved University of Dayton into charming Greenville, which is also home to the Annie Oakley Park! 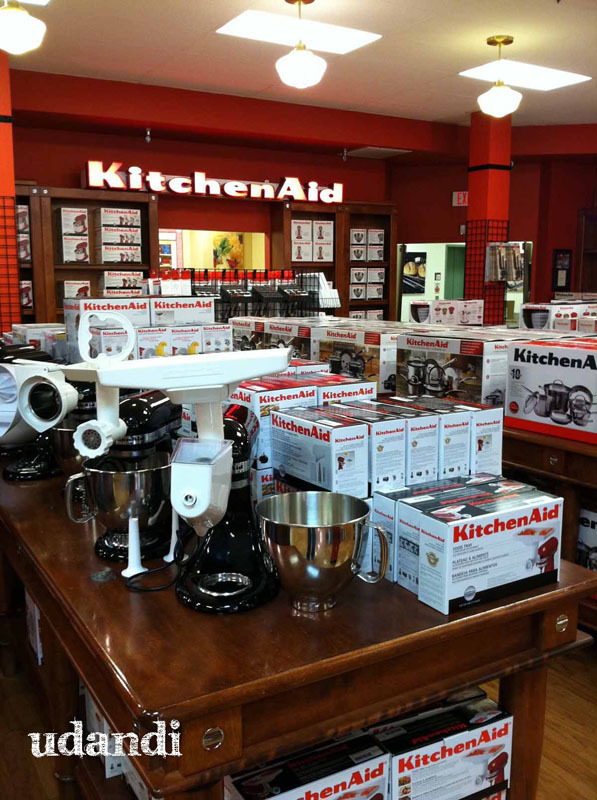 If you live in Cincinnati, Columbus, Toledo or Indianapolis and love your KitchenAid mixers, you might enjoy visiting this store, factory outlet and little museum. I bought an extra stainless steel bowl and plastic lids for my mixer. I had already given mom an extra for her mixer. In early December, we meet in my mom’s kitchen with both mixers and crank out some serious holiday treats. I bought the ice cream maker bowl for my parents do they can hopefully make decent ice cream! My mom got the plastic bowl shield so she can pour flour in without tossing it throughout the kitchen and she got another lid. Since we weren’t buying any appliances we didn’t get a major discount but if you have a AAA card you can get 20% off. Or if you are with a senior with a Golden Buckeye card, she can get 10% off. Saves a little on tax, which is 7%. If you’re registering for a mixer (I don’t know a bride who doesn’t) people might find a deal on a refurb on at this place and then you can get attachments, bowls and I love the plastic lids!